Or, use this handy chart! Try them out, experiment and let me know what works! 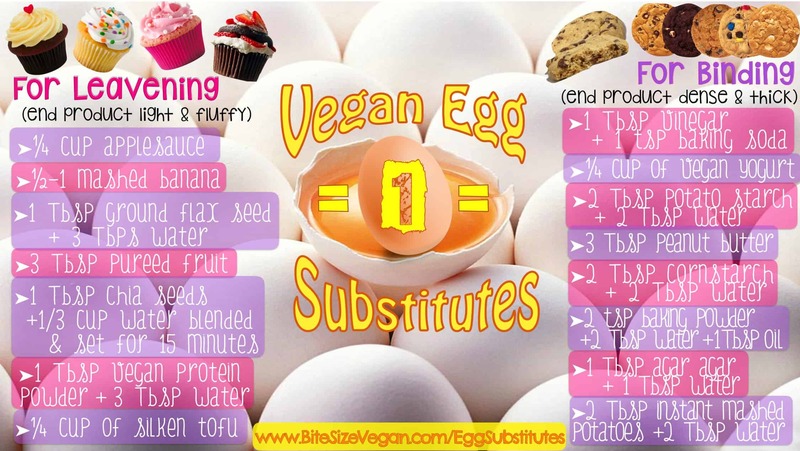 To learn why you’d want to substitute eggs in the first place, check out this video for kids and this epic egg video. (both are also linked below). If you liked this quick tip and would like to see more, give the video a big thumbs up and share this post around!